Suppose you're watching a video or movie online, and you like it very much, what will you do? It's a great idea to download the video from the Internet, so that you can watch it at any time you like, regardless of slow internet speed. Sometimes, the movie you downloaded from the Internet is too large, and you only want the most wonderful part. At this time, what you need is a useful video cutting tool. In this post, we will introduce 6 best video cutting tools in 2019 for both Mac and Windows users, so you can choose one at you will. 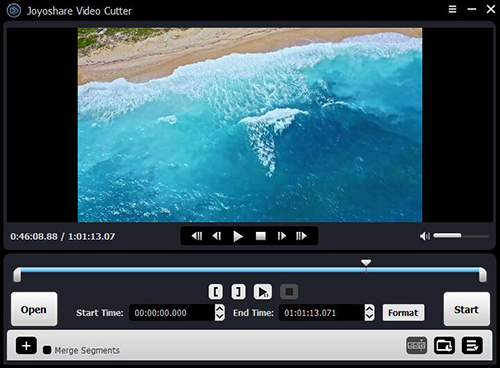 Joyoshare Media Cutter for Windows (or Joyoshare Media Cutter for Mac) is a smart video cutter tool to trim your media files losslessly at a quick speed. The most remarkable features of Joyoshare Media Cutter is to cut any media files like videos or audios with 100% originally quality. Besides, the software supports various popular formats, such as M4V, MP4, AVI, MPG, MPEG, 3GP, 3G2, MKV, WMV, ASF, H.264, VRO, OGV, PMVB and MP3, so you can convert the video or audio clips to any format according to your needs. 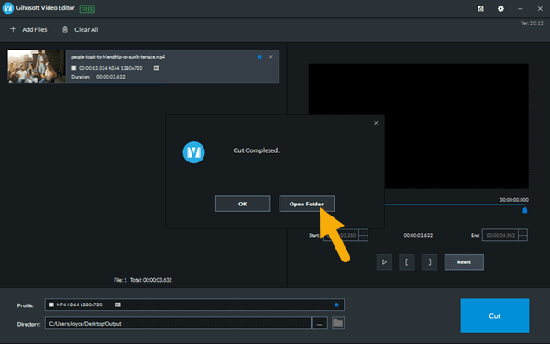 In addition, Joyoshare video cutter is also a media joiner, so you can also merge all the segments you split from the same media file into a new one. This is a free video cutting tool, aiming to cut large video files into smaller ones. When you open the software, you will probably be attracted by the beautiful user guide interface. It is simple and easy to use, but also supports various HD video formats. The video trimmer can only be used to cut videos, and you can't do anything but cutting videos. The downside of the video trimmer is that the tool can only be used to cut videos, and you can't do anything but cutting videos. Filmora Video Editor is one of the most famous video cutting software in the current market. This is powerful video editing software, and you can use it to cut and split large videos, audios and images. Besides, you can also add some video effects, such as titles, filters, overlays, transitions, etc. You can get this video cutting tool free download from its official website, but its price may be a little expensive for users. 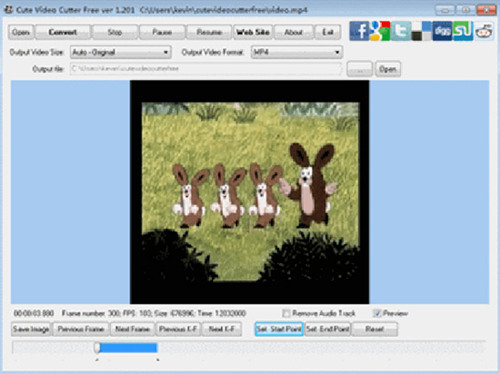 Weeny Free Video Cutter is another freeware designed for video trimming. You can use it to cut large and long video files into shorter ones and remove the unwanted parts of the videos such as ads and trailers. You are enabled to adjust the output settings such as codec, bit rates, size, etc before splitting. 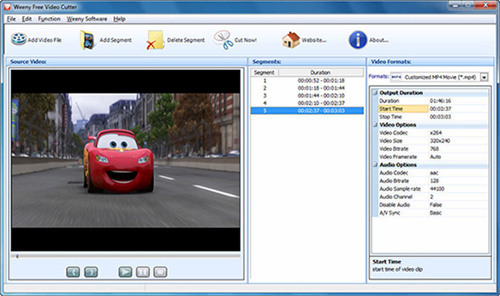 The video cutting tool also support many output file formats, like VOB, 3GP, FLV, MP4, MPG, ASF, AVI, RM, and WMV, etc. 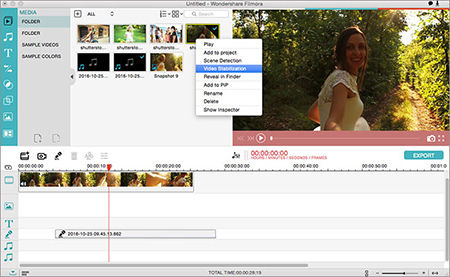 Developed by Adobe Systems, this is timeline-based video editing software. 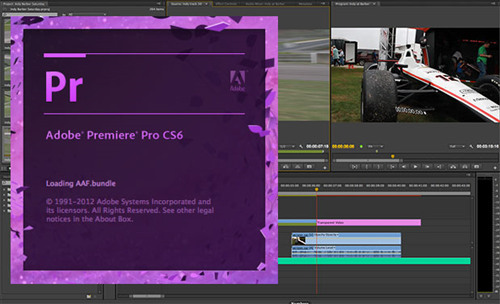 Adobe Premiere Pro is targeted at the professional market and provides many powerful features that every pro video editor may need. It supports a wide range of audio and video file formats and codecs on both Windows and MacOS. Aiming at pro video editors, the tool may be too complex for common users and the price is also too expensive. What's more, the video cutting app is a little bit big, so you may cost much time to download and install it. This is another free video cutter tool for Windows and Mac users. The software allows you trim large video files into smaller pieces, and cut off those unnecessary parts from the videos. Cute Video Cutter Free also supports large amount of media files, including AVI, MKV, MPEG-1/2, DVD, MOV, VCD, MP4, VOB, DAT, DIVX, XVID, WMV and so on, so you can get any file format as you like. These are all the best video cutting tools for Mac and Windows I recommend for you. The advantages and disadvantages of each video splitter have been listed above. If you are seeking for a professional video editing app, go for Premiere Pro. If you are looking for free video trimmers, you can consider Gihosoft Free Video Cutter, Weeny Free Video Cutter or Cute Video Cutter Free that can do the basic cutting. Now if you need an easy-to-use yet still powerful video/audio clipper, Joyoshare Media Cutter must be the best choice.